Testo's range of IAQ tools help facility managers stay on top of monitoring their space. The average Australian spends the majority of their day indoors. From home to school or work and back home, our lives revolve around the indoor environments so it's important they are comfortable to function in. People can normally tell the difference between a hot or cold room, however, there are other conditions that change the indoor air quality (IAQ) which aren't as noticeable and can have harmful health effects. When IAQ isn't properly maintained, gas, chemicals and other pollutants can cause issues ranging from a blocked nose all the way to cancer, as well as damage products stored in the facility. 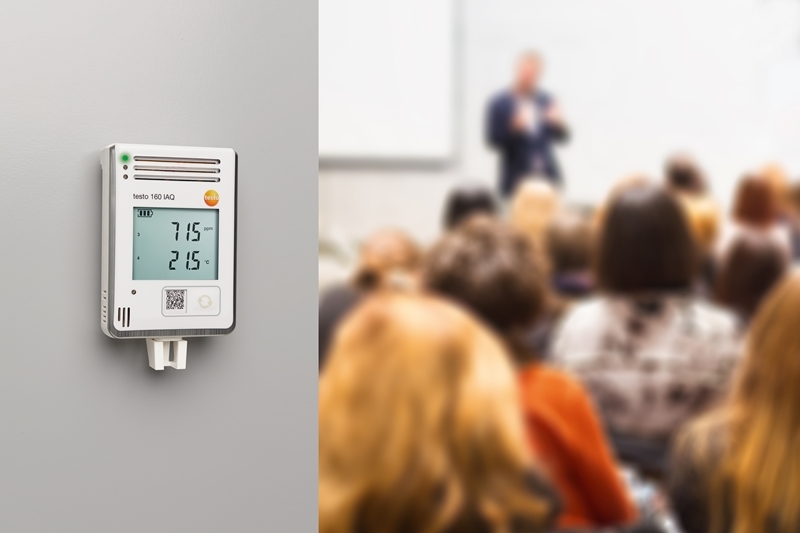 Testo's range of IAQ measurement solutions monitor, temperature, humidity, CO2, Lux/Light sound, enthalpy and PPV/PPD values, ensuring your facility is covered. Testo's range of IAQ instruments help you stay on top of monitoring measurements. This wireless measuring system monitors for turbulence, mould and long-term measurement for things like CO2. Testo 440 air velocity and IAQ measuring instrument is the tool that provides you with precise and reliable measurements of all the air velocity and IAQ parameters within a single device. The large graphic display makes it easy to look after (and adjust) air conditioning and ventilation systems, monitor air quality or carry out comfort level measurements. The digital probes make it an incredibly versatile and high-quality tool to help you stay on top of measurements. Evaluating comfort and wellbeing of those within an environment is done with the testo 480. This tool helps calculate the relevant PMV/PPD, degree of turbulence and indoor air values norm-compliantly. To learn more about how Testo can help you maintain adequate IAQ, contact our knowledgeable team today. Specifically, the PMV/PPD measurement according to ISO 7730 and the turbulence measurement in accordance with EN 137799 are your tools to help monitor temperature, per cent RH, draught, flow, CO2 and lux. Climate monitoring in offices and storerooms ensure businesses can carry on as usual, especially when it is monitored by the testo 175 H1. This tool utilises easy data transfer via a USB system to your smart device or PC. This instrument allows for dual measurements (one internal and one external) to ensure temperature, humidity and dew point levels are as they should be. Its large memory has room for one million readings and has a battery life of up to three years. It's high level of data security and reliable measurements make it the leading-edge technology on the market.